Ejeris Dixon is an organizer and political strategist with 15 years of experience working in racial justice, LGBTQ, anti-violence, and economic justice movements. She currently works as the Founding Director of Vision Change Win Consulting where she partners with organizations to build their capacity and deepen the impact of their organizing strategies. From 2010 – 2013 Ejeris served as the Deputy Director, in charge of the Community Organizing Department at the New York City Anti-Violence Project where she directed national, statewide, and local advocacy efforts on hate violence, domestic violence, and sexual violence. From 2005 – 2010 Ejeris worked as the founding Program Coordinator of the Safe OUTside the System Collective at the Audre Lorde Project where she worked on creating community based strategies to address hate and police violence. She speaks and trains nationally on issues of police violence, hate violence, sexual violence, and intimate partner violence as they impact LGBTQ communities and communities of color. Her writings and analysis have been featured in the New York Times, Huffington Post, SPIN Magazine, CNN, and the New Civil Rights Movement. 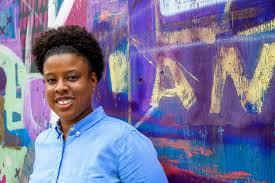 In 2012 the White House recognized Ejeris as both an Emerging LGBT Leader and selected her as a featured speaker on violence against Black LGBT communities. She received a Bachelor’s Degree in African American Studies at Yale University and a Master’s Degree in Public Policy and Nonprofit Management at New York University’s Wagner School of Public Service.